Offering a variety of quality financial services, Harvard University Employees Credit Union has been serving our members since 1939. Priding ourselves on a tradition of excellent service, HUECU provides a complete line of services for all your financial needs. 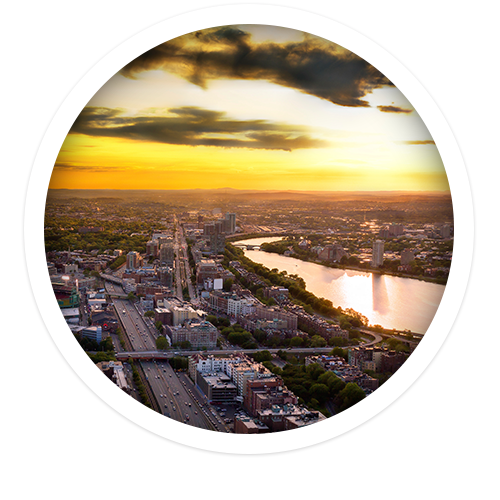 HUECU exclusively serves the Harvard community, including the staff, students and alumni of Harvard University, Harvard teaching hospitals and other affiliated organizations. To enhance our members’ lives by developing and offering trustworthy products that are easy to understand, easy to use and best suited to meet their financial needs. Meet the HUECU Management Team & volunteer Board of Directors. HUECU is a great place to work! Learn more about how to find job postings. Find out how HUECU invests in the communities we serve. Find out how you could benefit from being an HUECU member. Harvard University Employees Credit Union aspires to be a trusted partner in our members’ financial lives. We add value to membership by offering the best possible price, the highest quality personal service, and sincere, sound advice. The Credit Union seeks to be known as a community leader and to deepen its long standing commitment to housing issues, green initiatives, financial literacy and access to credit for low and moderate income borrowers. The Credit Union works toward transformational growth and change without relinquishing the core values we hold today. We are a not-for-profit cooperative which exists solely for the best interest of our members. We value integrity and responsibility in all of our actions. We strive to enhance our communities and create solutions for social, environmental and economic issues. HUECU is a state-chartered credit union, organized under strict laws monitored and enforced by the National Credit Union Administration (NCUA) an agency of the U.S. Government. The NCUA insures each member account for at least $250,000. The Massachusetts Credit Union Share Insurance Corporation (MSIC) insures all deposits that exceed the federal insurance limits of $250,000. Like all credit unions, HUECU is a not-for-profit cooperative. We do not have shareholders, and every member owns an equal stake in the institution, regardless of how much money they have on deposit. Any profits the Credit Union earns are returned to the membership in the form of better rates on loans and savings, lower fees and improved services. Membership in the Harvard University Credit Union is available to many Harvard affiliated organizations. Do you qualify? Ready to get started? Joining the Credit Union is quick and easy using our simple Online Application Membership application.